The meme-inspired creepfest comes to theaters this August. "Can you see him?" It’s creepypasta come to life in the spooky new trailer for Slender Man, the upcoming horror movie based on the fictional internet monster infamous for reportedly inspiring a real-life murder attempt. Watch the scary new video below. It’s the first feature film based on the titular entity, although YouTube series such as Marble Hornets initially brought the message board myth out of the blogosphere and into horror fans’ consciousness. 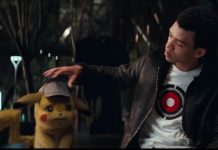 The new movie focuses on “the cyber legend featuring an ominously tall, humanoid supernatural entity with no facial features and a penchant for haunting teenagers,” according to Entertainment Weekly. In 2014, the horror legend seemingly inspired minors Anissa Weier and Morgan Geyser to stab their friend Payton Leutner, as covered by ABC News. The victim subsequently survived and both Weier and Morgan were sentenced to psychiatric confinement, per CBS. Weier’s father has come out against the new Slender Man movie, calling it “extremely distasteful” for “popularizing a tragedy,” as reported by the NY Post. Slender Man hits theaters Aug. 10. Has it started for you yet? Click the link in the bio to watch the full trailer now. #SlenderManMovie only in theaters August 10. #CanYouSeeHim?